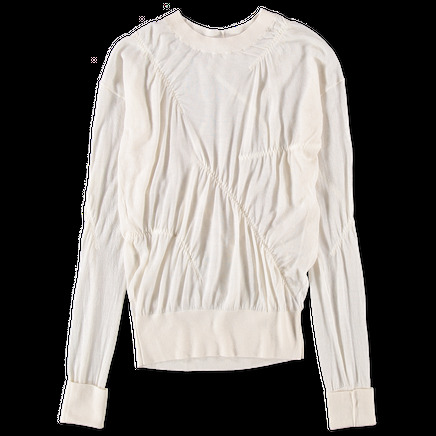 Elasticated Cashmere Pullover from Helmut Lang. 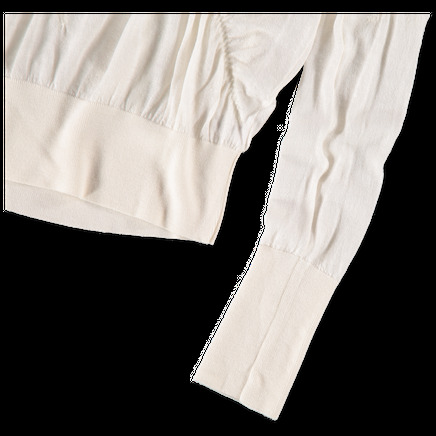 Long sleeved sheer knitted sweater with detailed stitching. Ribbed bottom hem, cuffs and neckline. 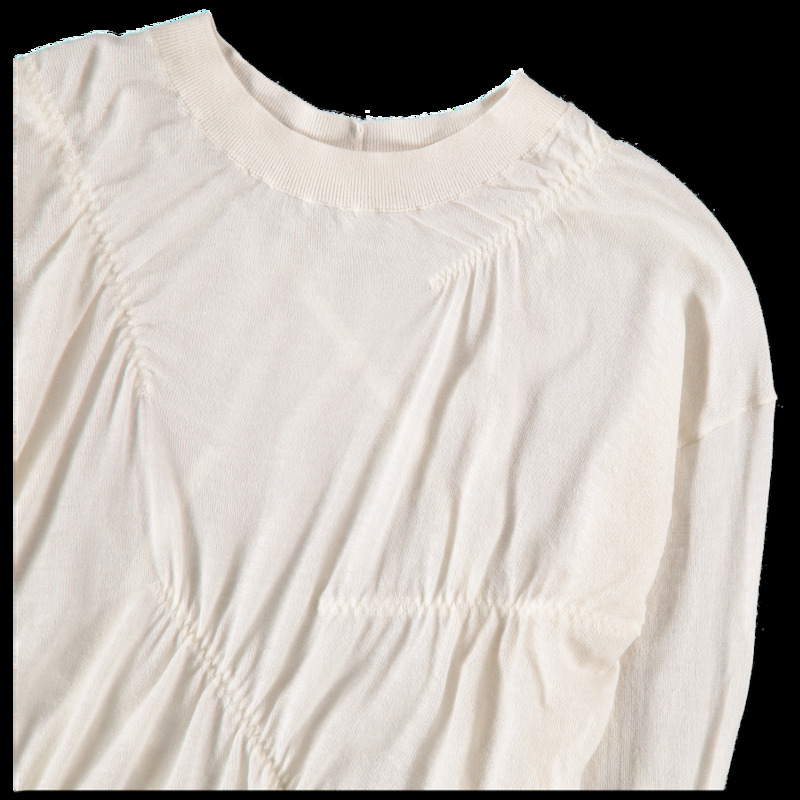 Rounded neckline. Helmut Lang was the first ever to stream a collection online (already in 1998, instead of having a catwalk show that year). This is quite significant for the Helmut Lang label, which often is referred to as both minimalistic and pioneering - but in the most wearable way. We would describe it as casual sharpness. The brand was created in 1977 by Austrian-born Lang himself and he started to show full ready-to-wear collections in the mid-eighties. Lang now works as an artist based in New York. He left the company and fashion business in 2005, but his legacy lives on in the Helmut Lang fashion brand.